I've been trying to cut down on Diet Soda for oh, just about a decade... I do pretty well if I'm honest - I rarely touch the stuff, but occasionally I cave in and have to have it, particularly if I'm craving something fizzy, if it's really hot outside or if I'm having popcorn. It's hard to enjoy popcorn without a fizzy drink. I love sparkling water, but sometimes it just doesn't cut it. Squash is great, but again, sometimes it's just not what I'm after. 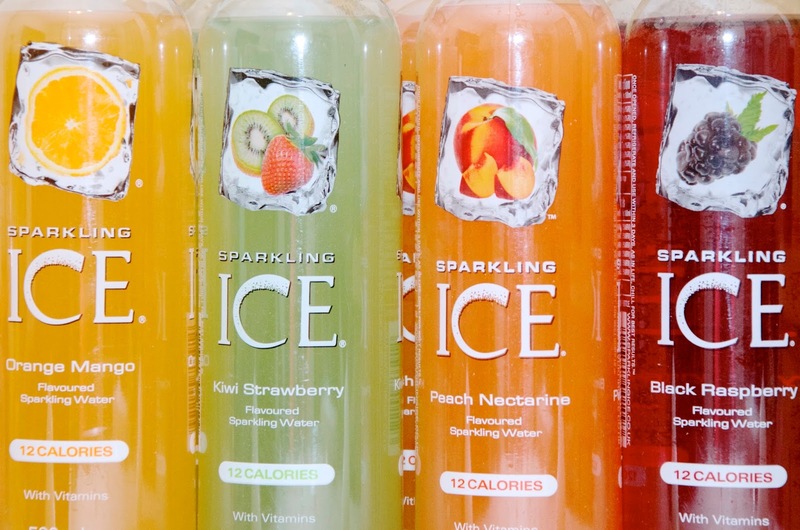 I recently discovered Sparkling ICE at the grocery store and fell in love... It's fizzy, fruity and only has 12 calories per bottle. In short, it's a winner. Still relatively new to the UK, I can only find Sparkling ICE in a couple of the available flavors at a few local grocery stores here in London and it's no surprise to me at all that most times these delicious drinks are completely sold out just after hitting the shelves. With that in mind, I decided to get in touch with the brand so that I could try all four available flavors and I am shocked... Each one is better than the one before! I don't even like mango or kiwi - in fact, I really don't like them, but these drinks are so subtly flavored that they taste amazing. I thought I would love the Black Raspberry the most because that's the flavor I tried first and fell in love with, but now it's a toss-up between the Peach Nectarine and the Kiwi Strawberry... So hard to choose a favorite! 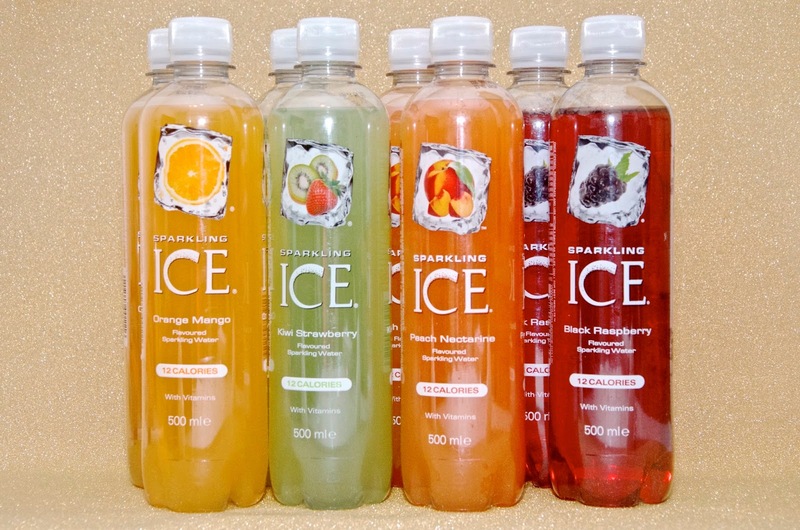 Sparkling ICE drinks contain sparkling water, natural flavors, fruit juice and vitamins. It's sold in 500ml bottles and usually is priced at £1.49. I find that it's the perfect alternative to my usual go-to of a diet soda and I don't feel very guilty about drinking one given that they're only 12 calories. I suppose my only complaint is that I can't buy it by the 2 litre bottle - I'd totally spring for bigger bottles to keep at home if they were available, but c'est la vie... For more information on Sparkling ICE, visit sparklingice.co.uk. Keep an eye out tomorrow for a special Halloween recipe post featuring Sparkling ICE!